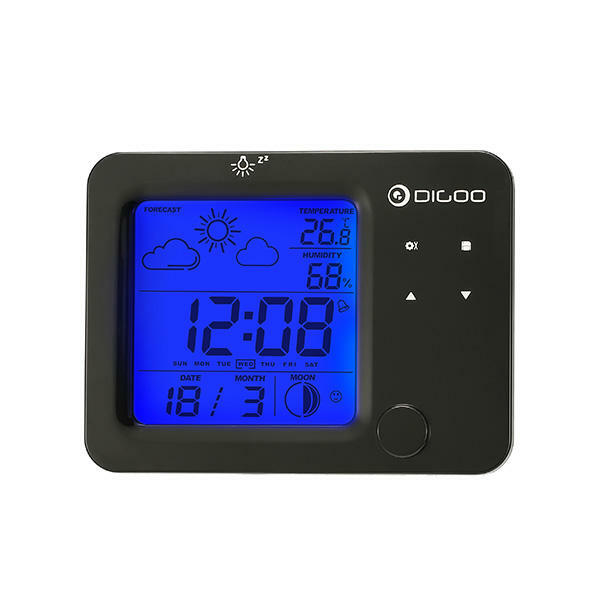 Size 11.7cm x 8.7cm / 4.6" x 3.4"
Screen Size 6cm x 6cm / 2.36" x 2.36"
Contains Alarm Clock, Calendar, Thermometer, Hygrometer, Weather Forecast, Comfort Icon, Moon Phase Functions. Touch Button Design to Make Your Experience Better. 2.36" Large Screen Display, So That You Can See The Time More Clearly. With LED Blue Blacklight, Easy Read in Night.